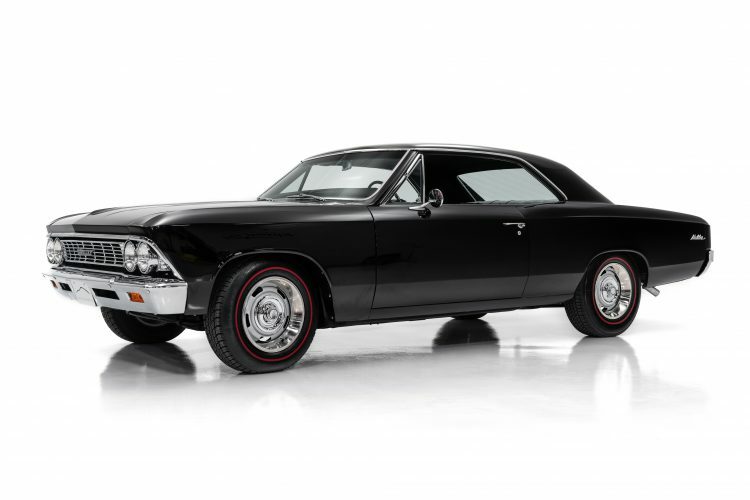 There are a lot of vehicles with nice parts thrown at them, but there are very few with this level of pedigree. 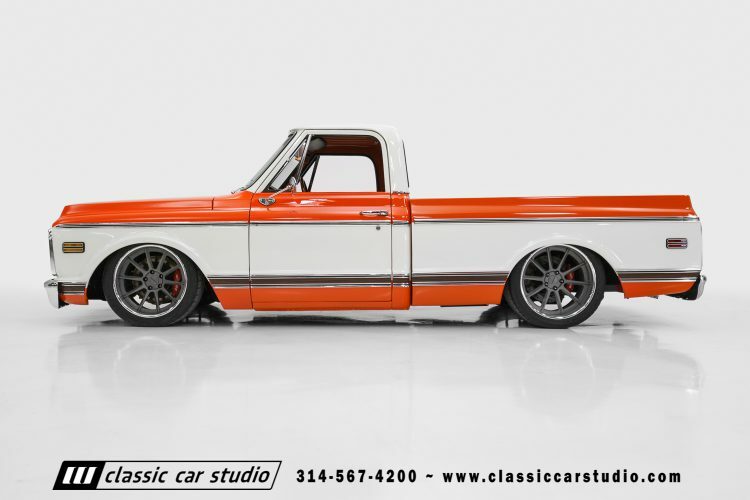 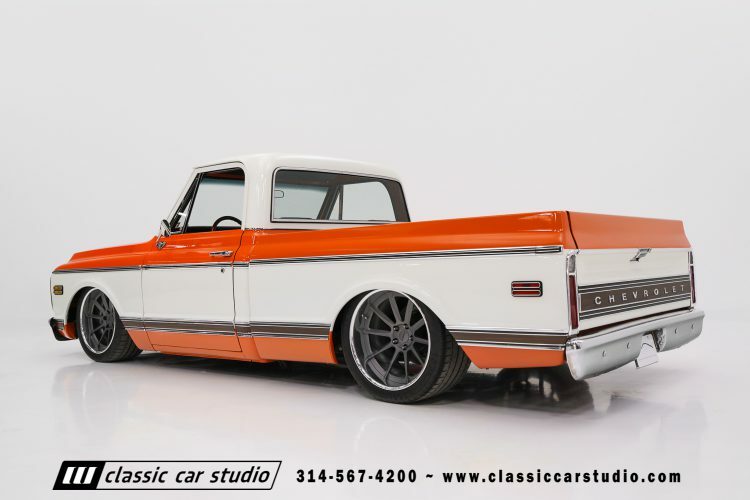 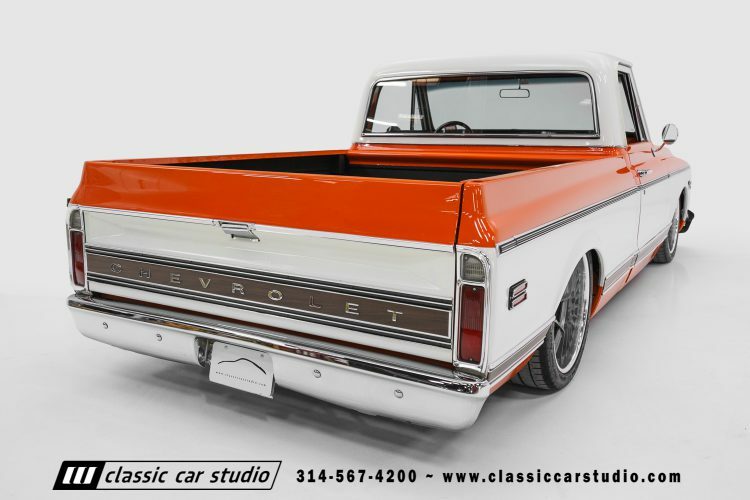 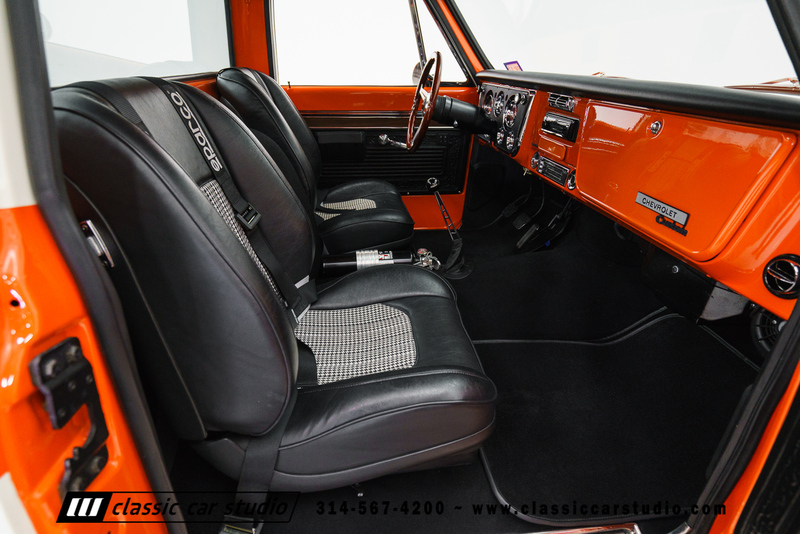 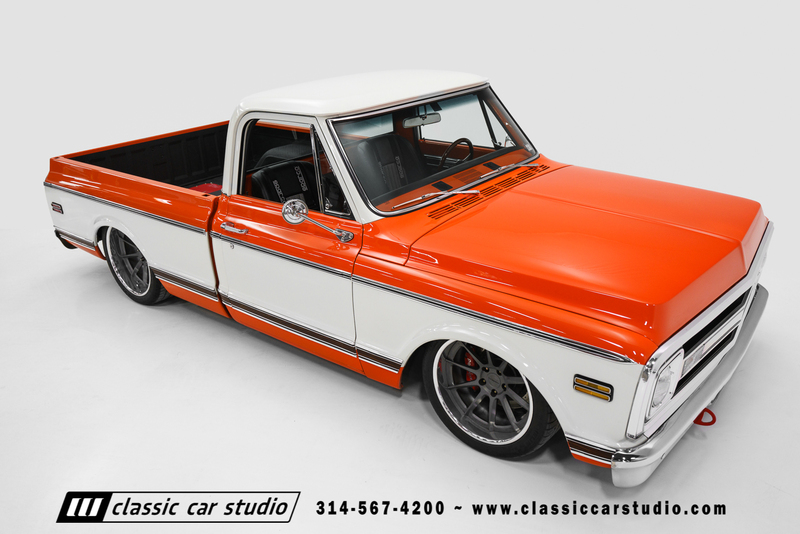 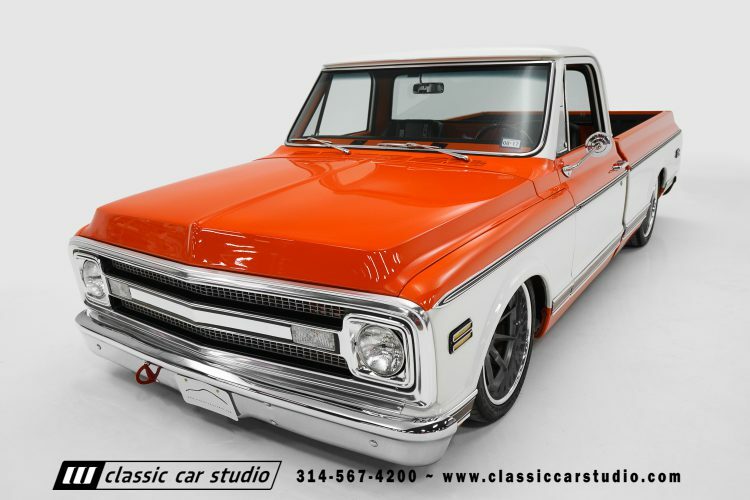 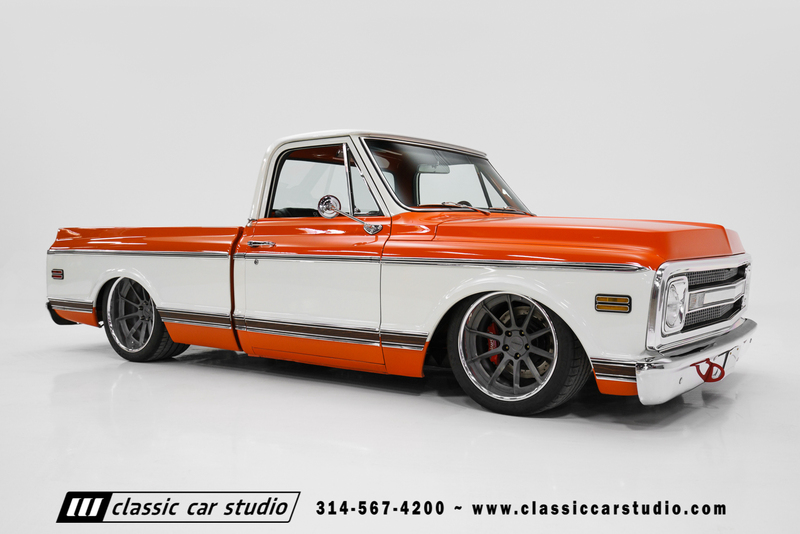 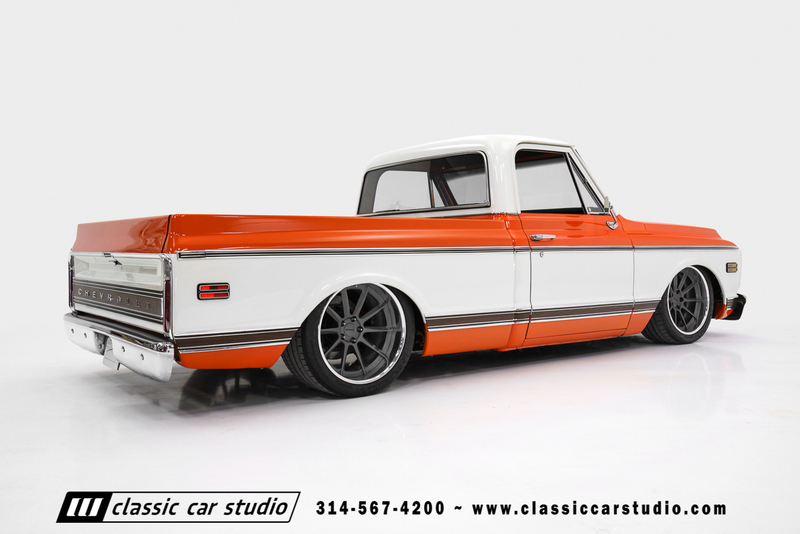 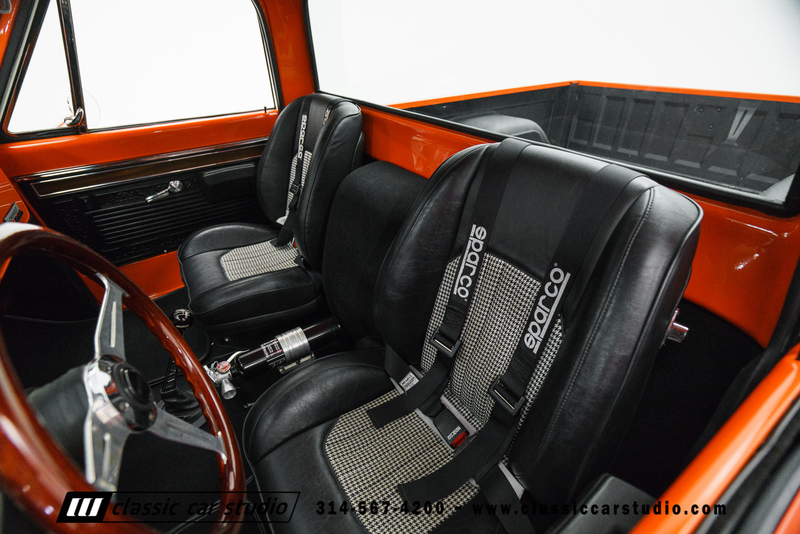 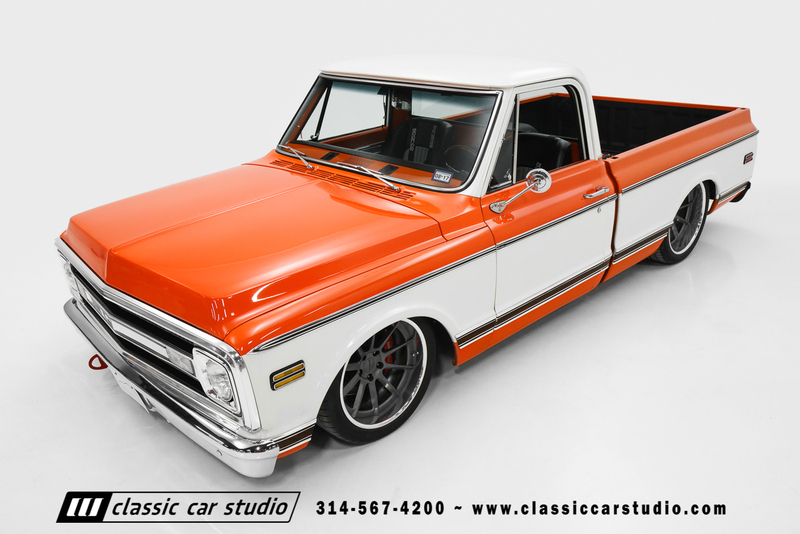 This 1970 Chevy C10 is a wolf in sheep’s clothing that’s a proven performer on the track and also a well mannered street machine. 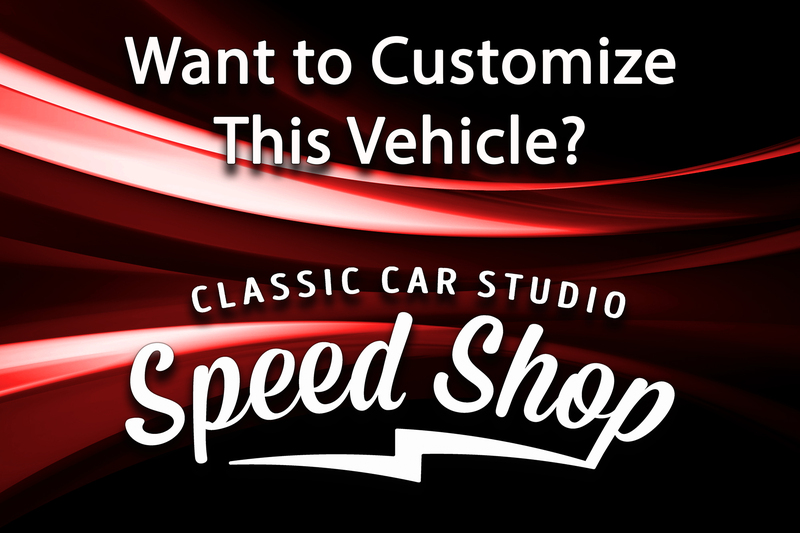 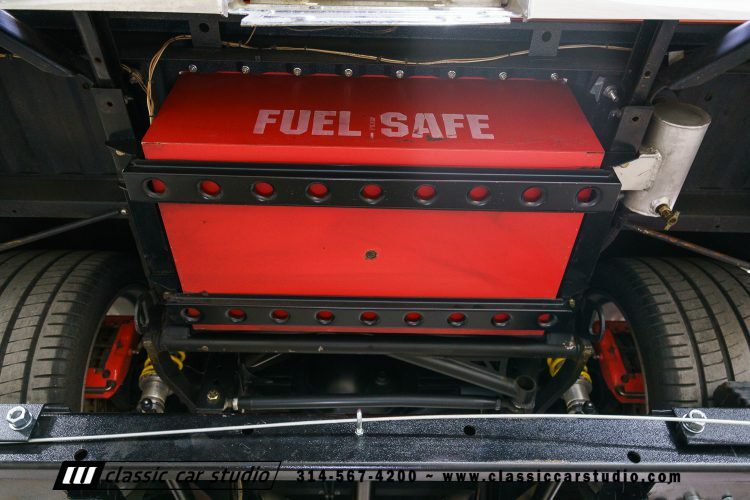 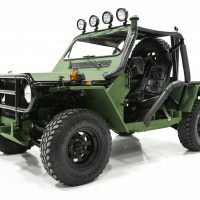 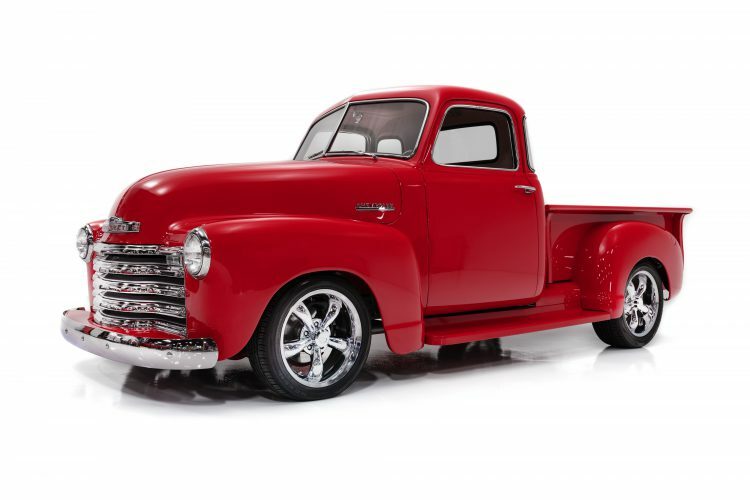 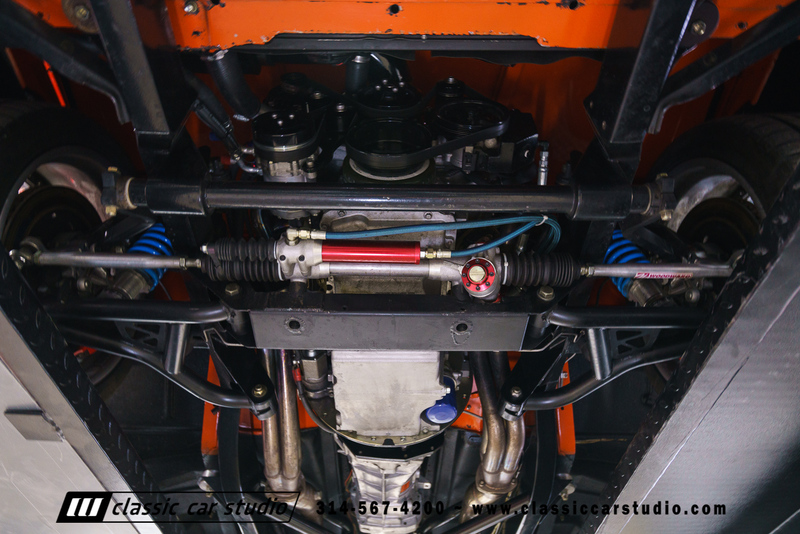 Built by the Roadster Shop in 2012 as a test platform for their Fast Track Chassis, this truck is a wildly capable performance vehicle. 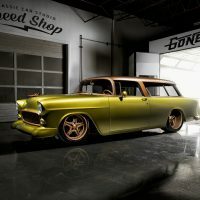 The engine is a Turn Key Engine Supply LS2 cranking out 550 HP that exhales exhaust through a set of Roadster Shop stainless headers and a pair of Borla XR-1 mufflers. 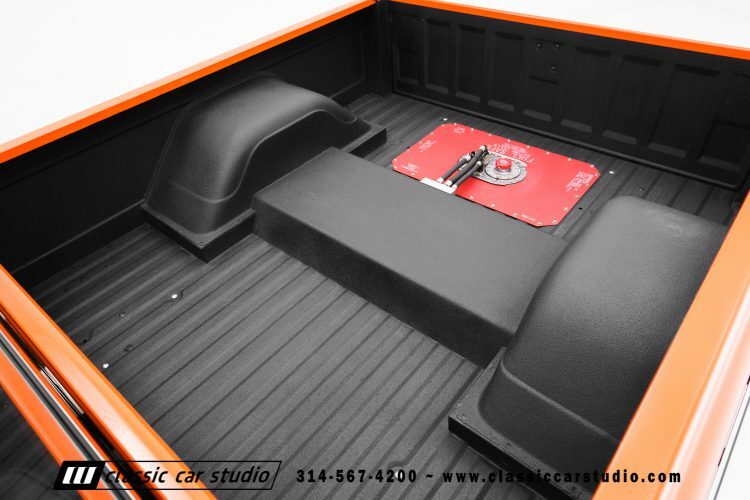 The truck has a tough exhaust note but it will keep your neighbors happy. 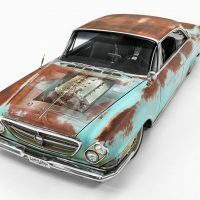 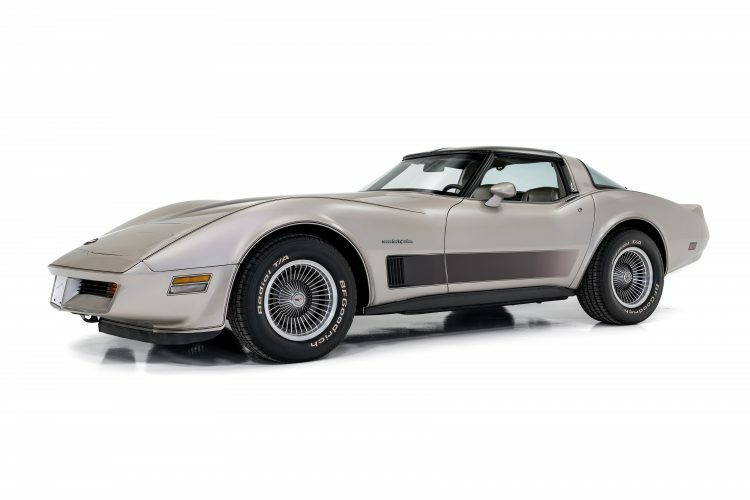 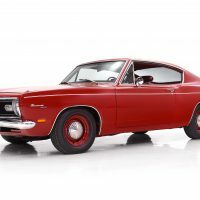 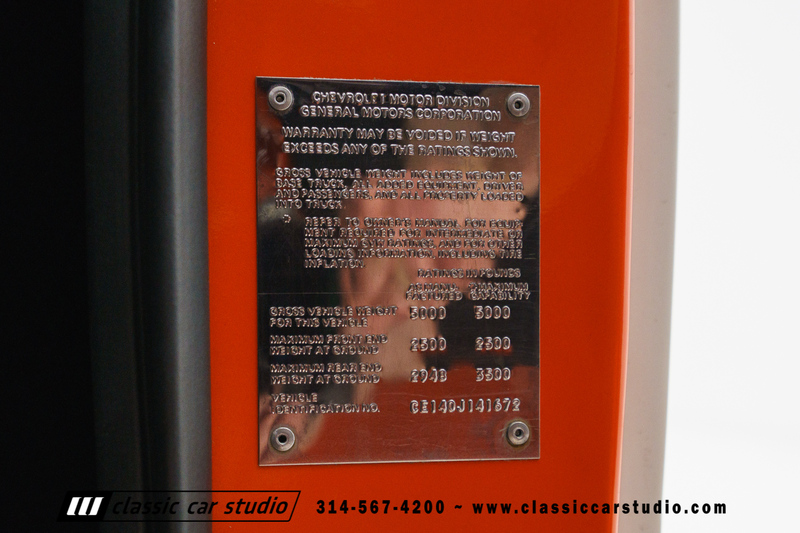 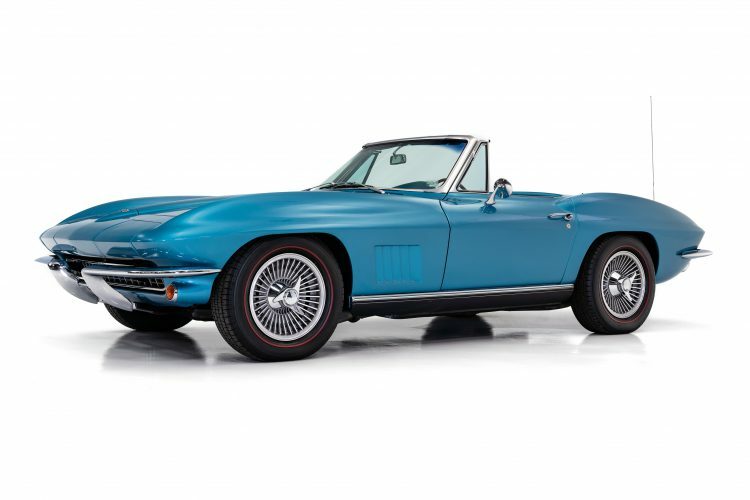 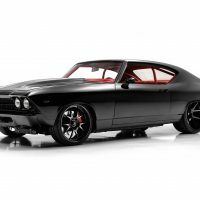 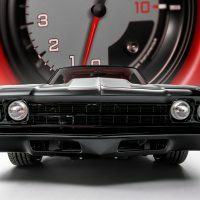 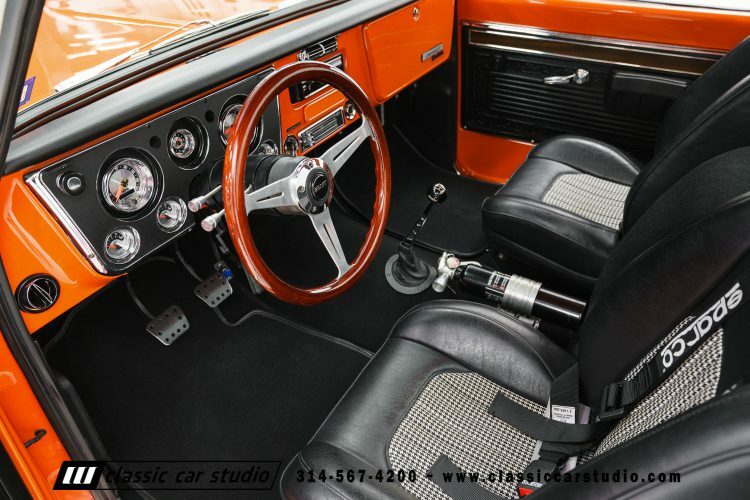 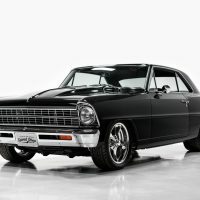 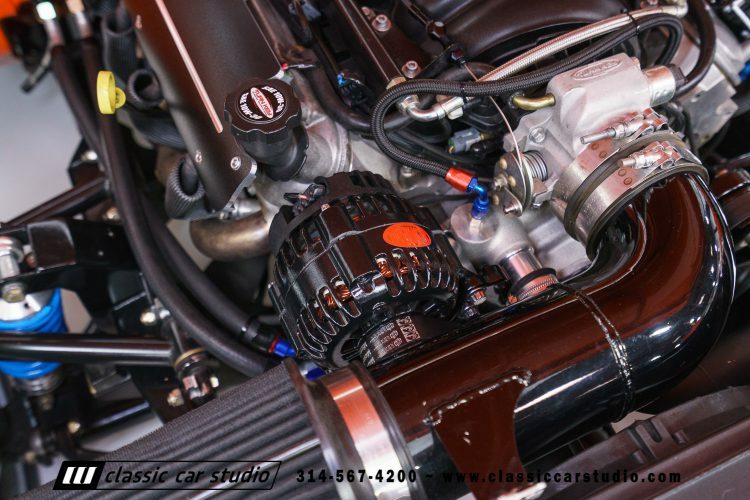 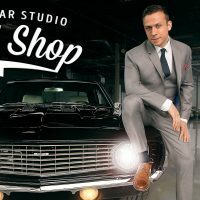 The transmission is a 6-speed, Tremec T56 Magnum hooked to a Zoom clutch. 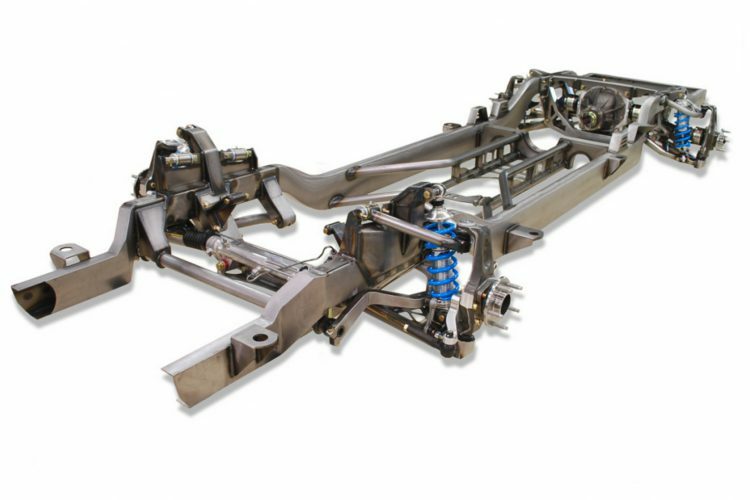 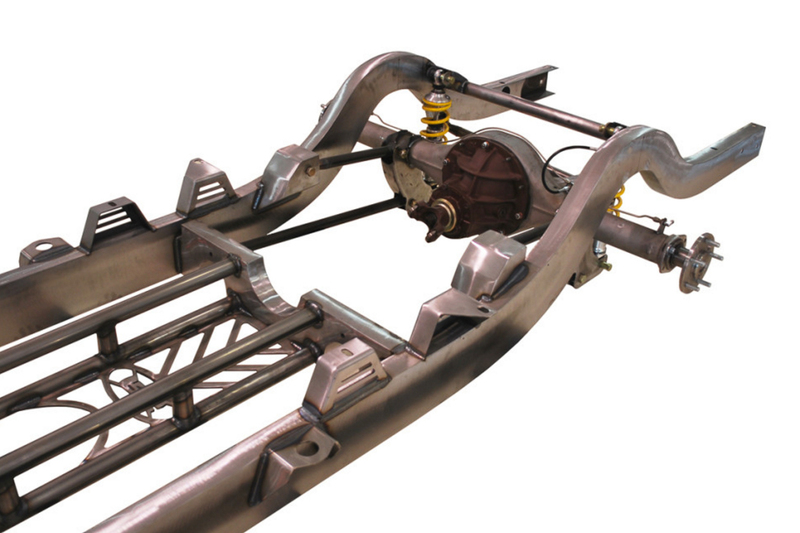 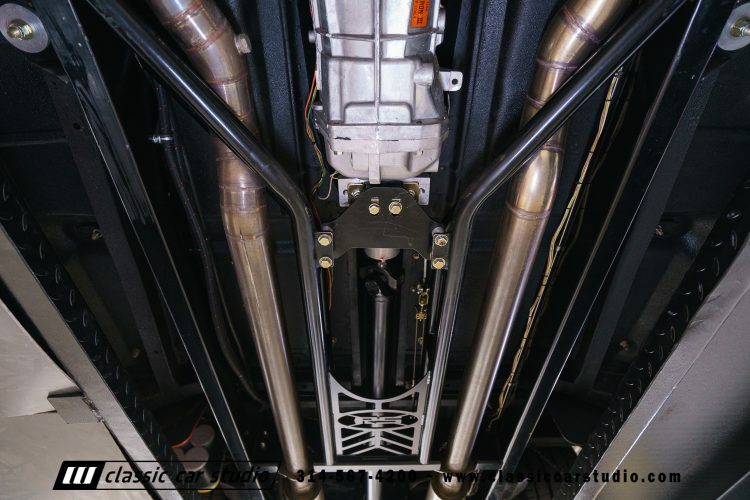 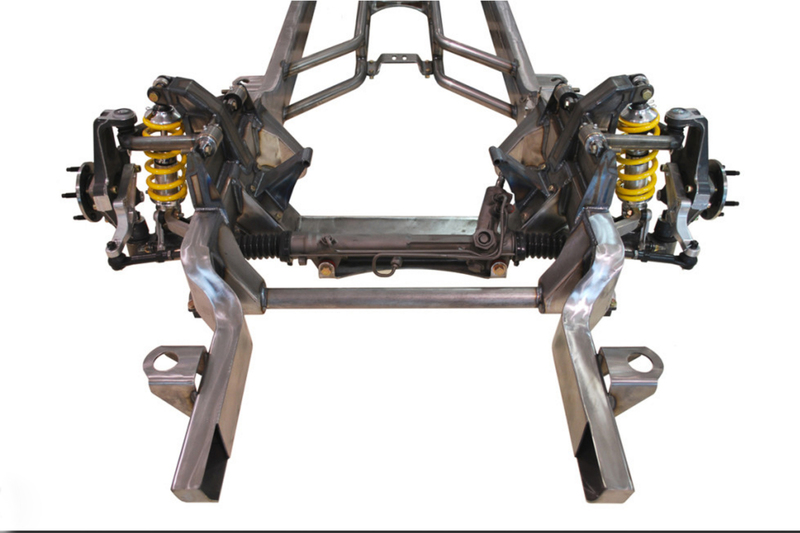 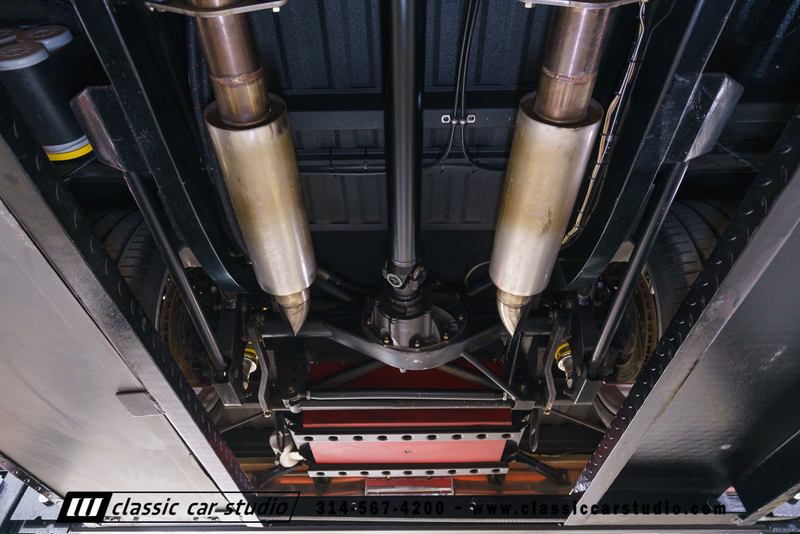 The Fast Track IFS chassis was engineered using C6 spindles hung from 4041 upper and lower control arm mounts. 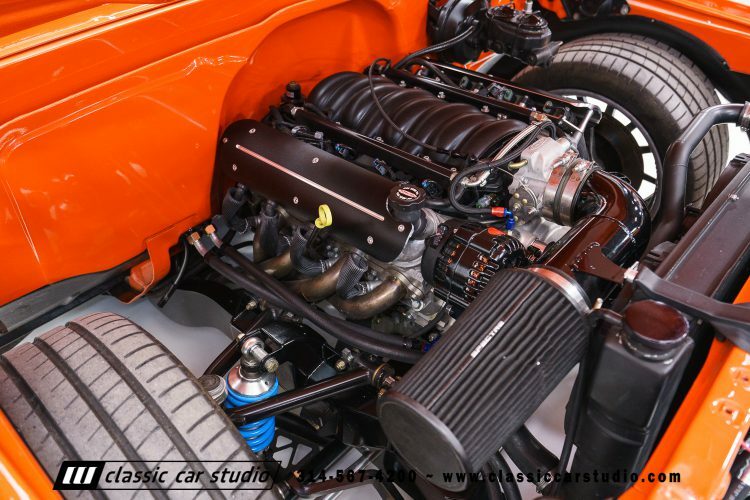 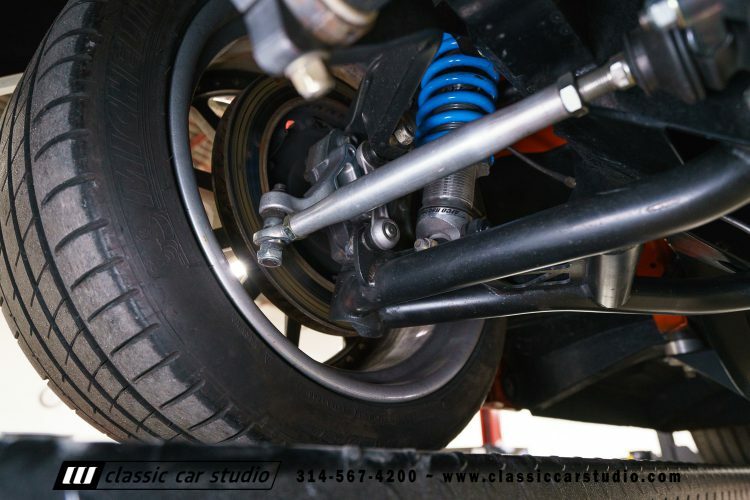 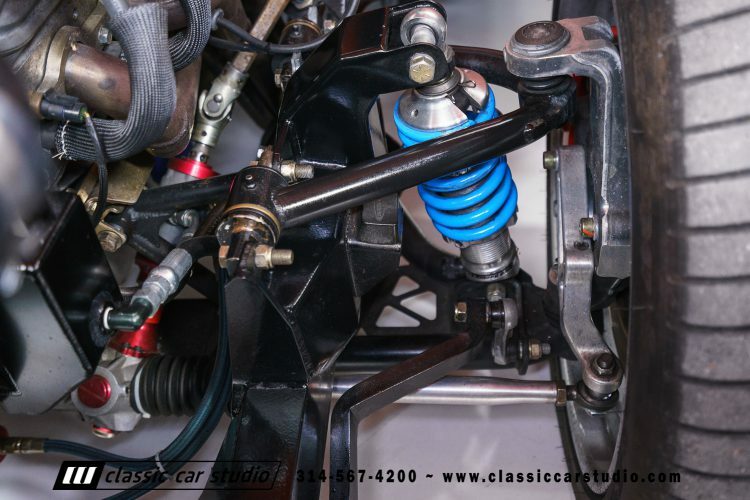 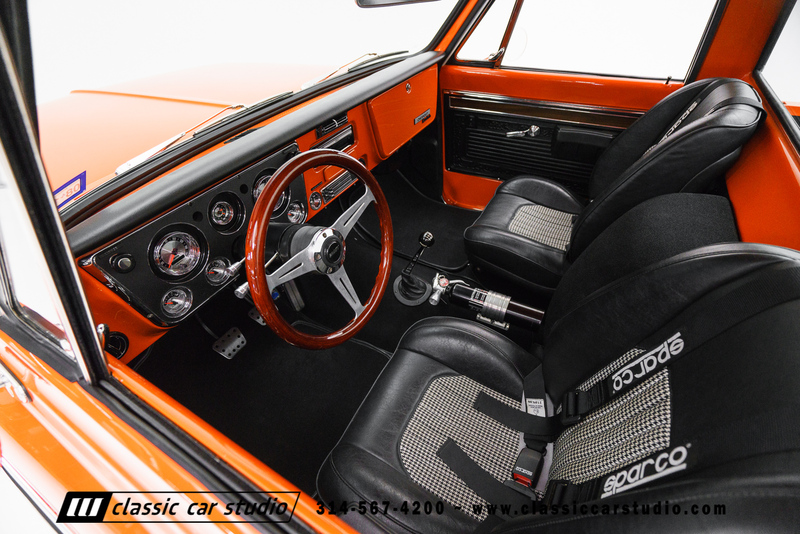 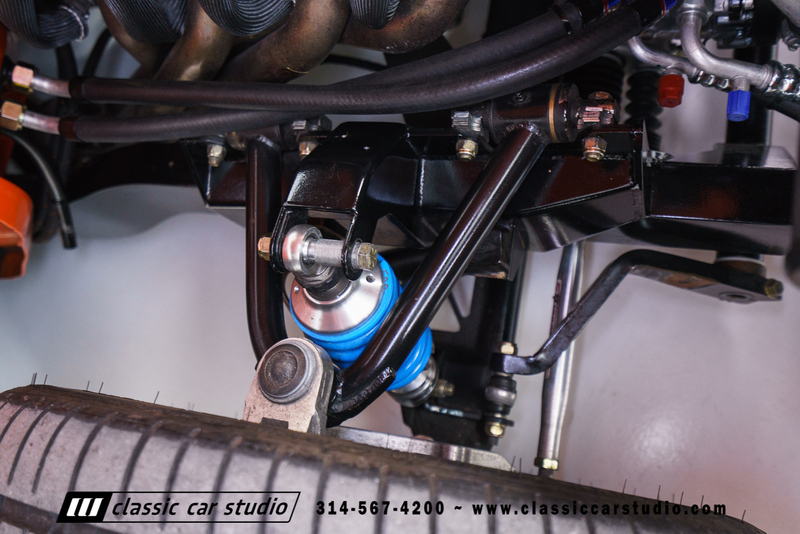 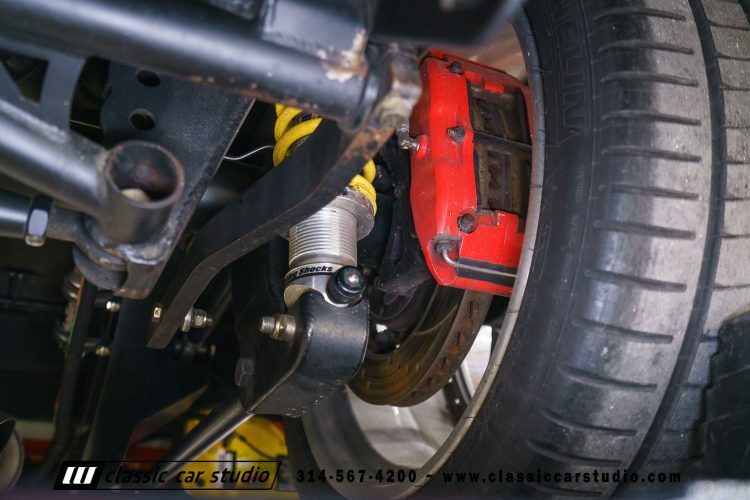 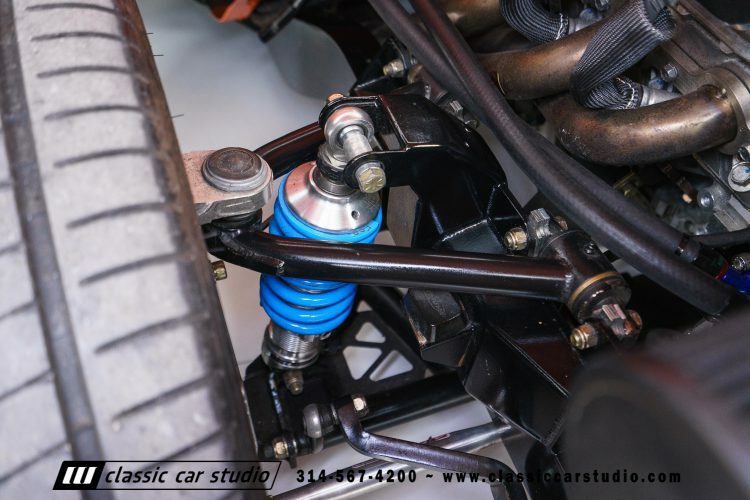 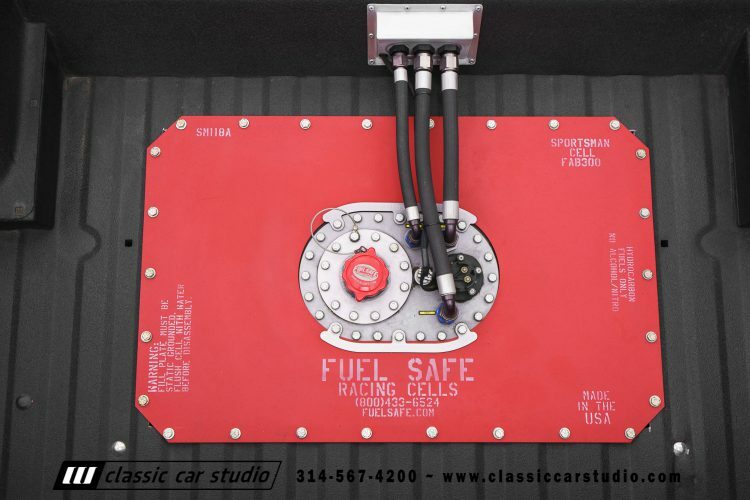 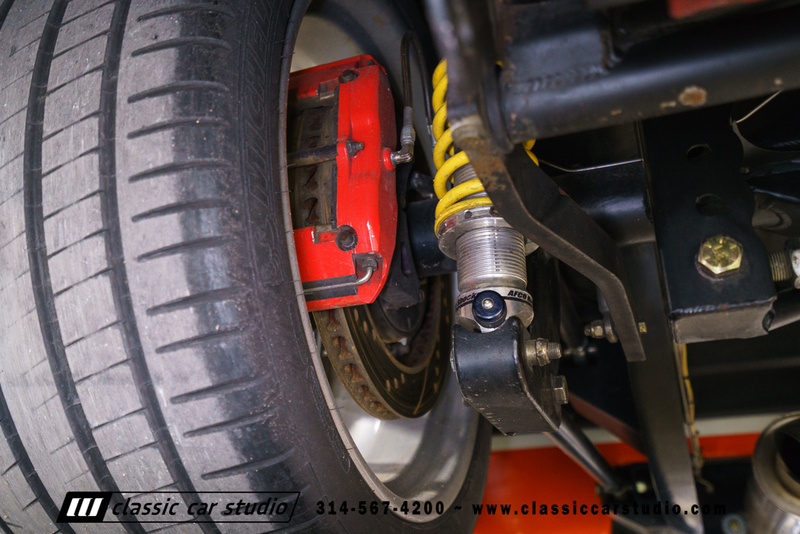 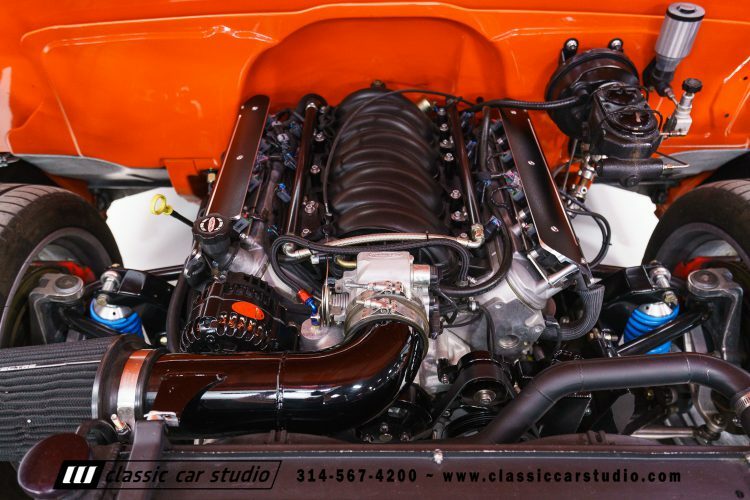 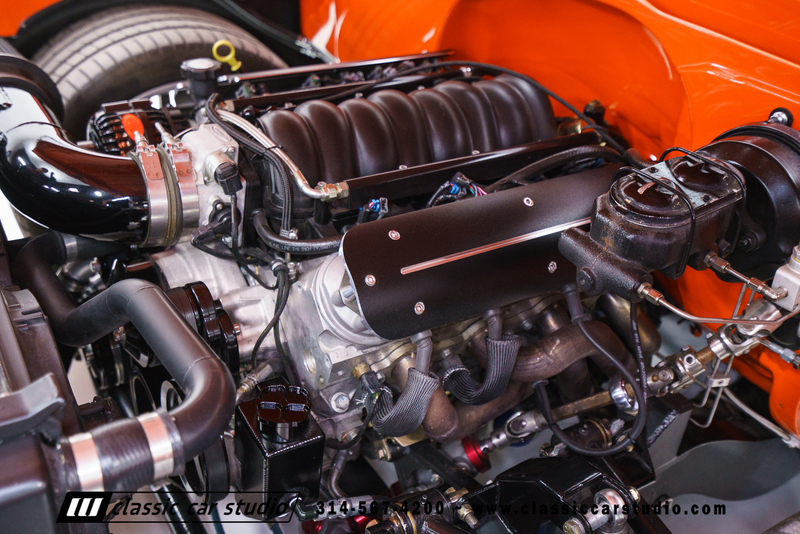 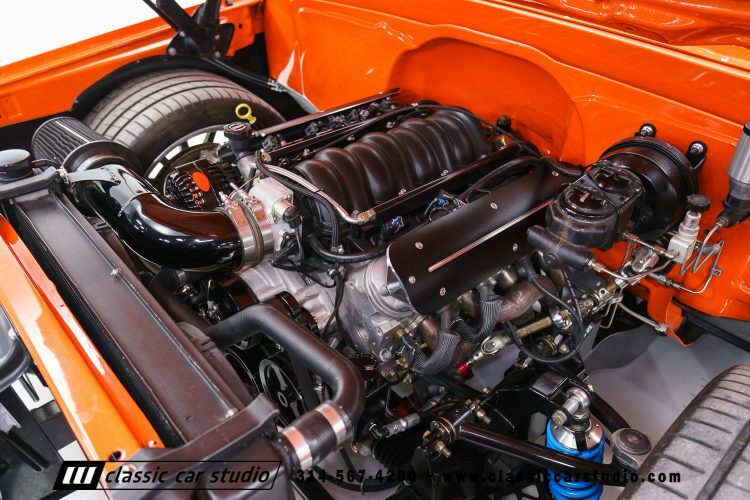 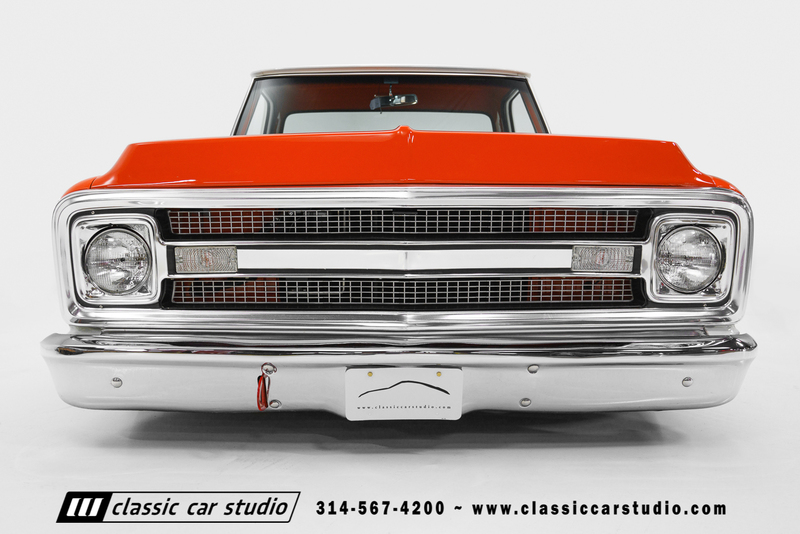 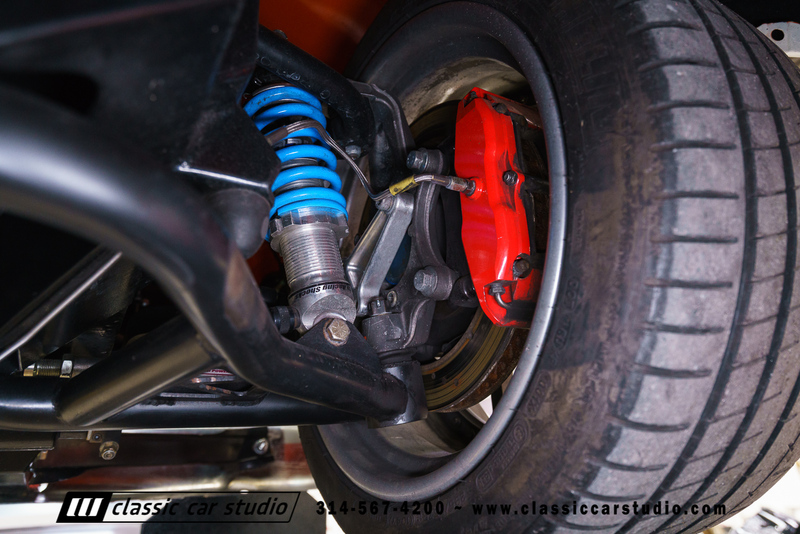 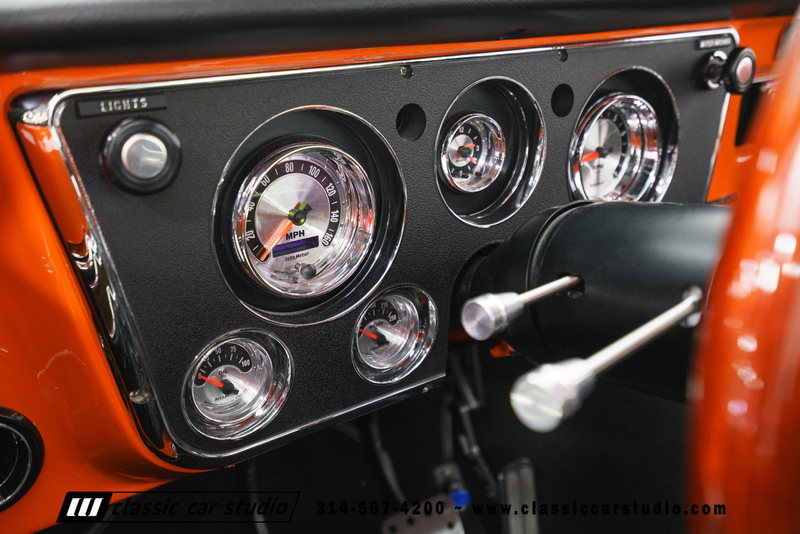 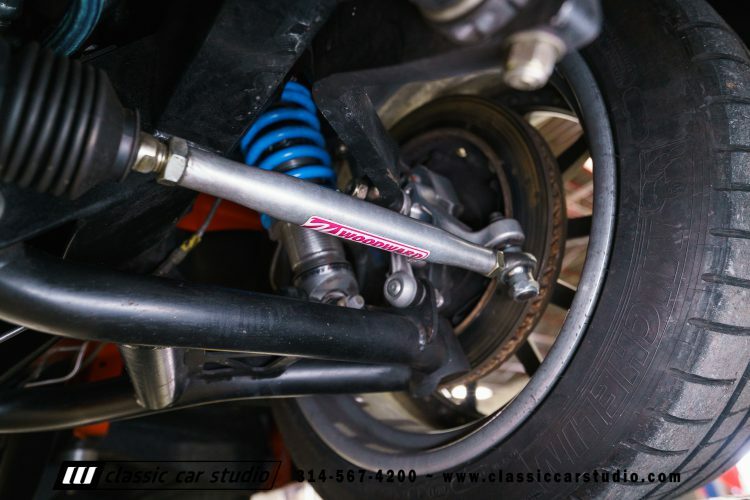 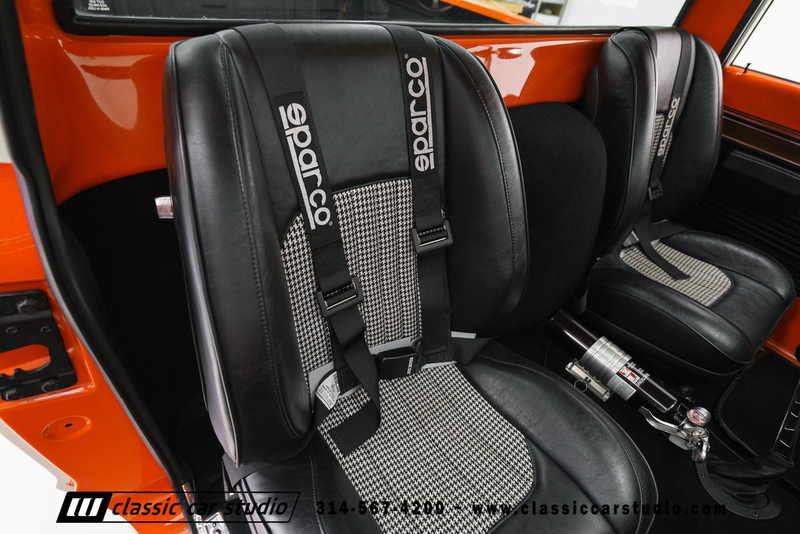 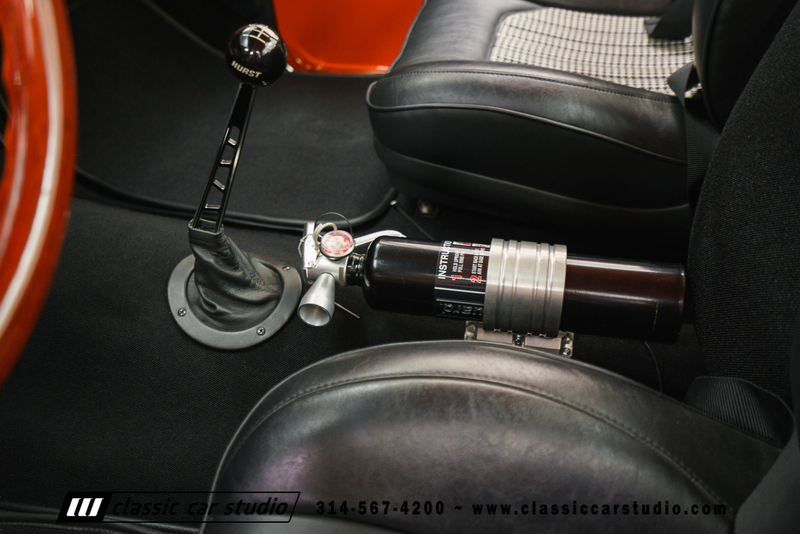 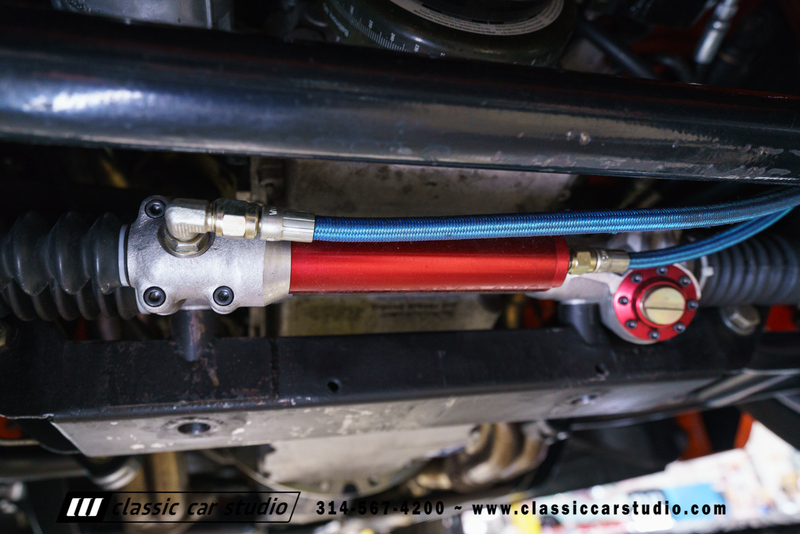 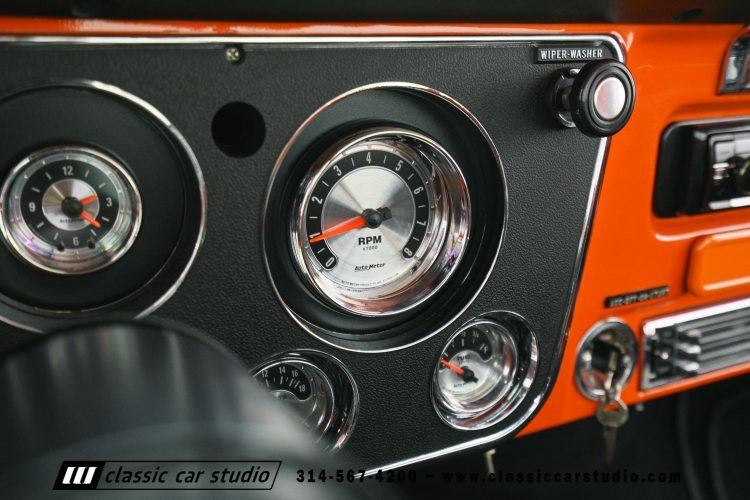 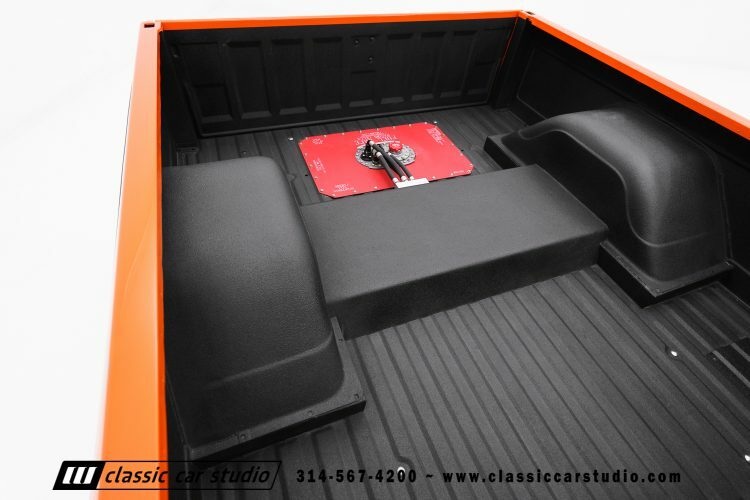 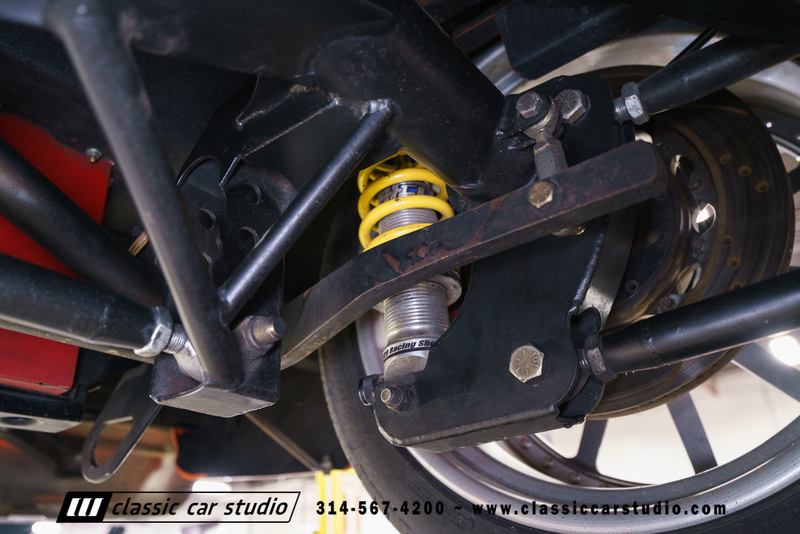 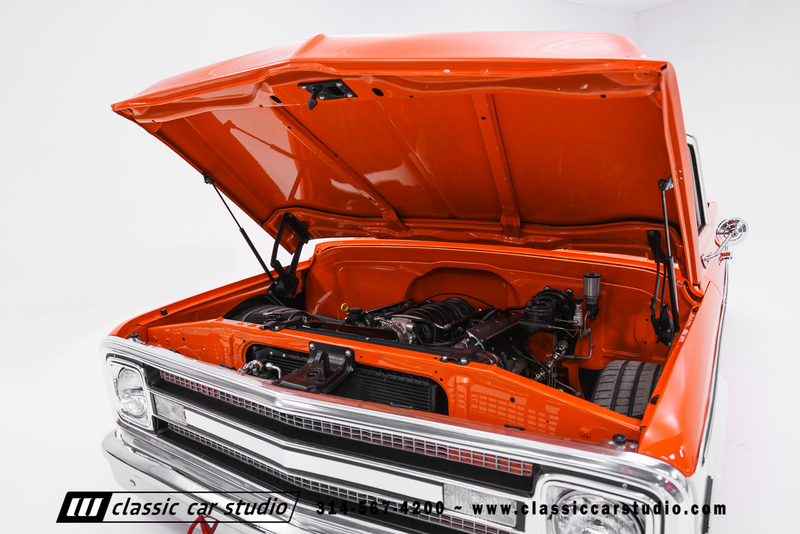 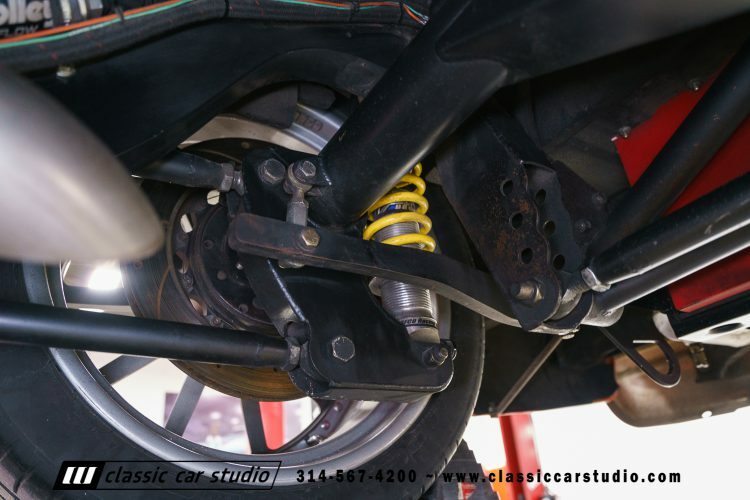 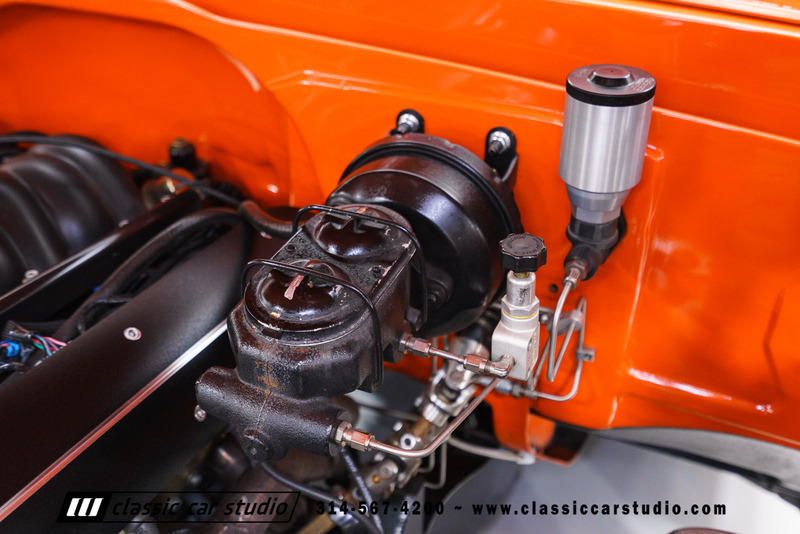 Heavy duty splined sway bars are built into the chassis and aid in race car like handling from this C10. 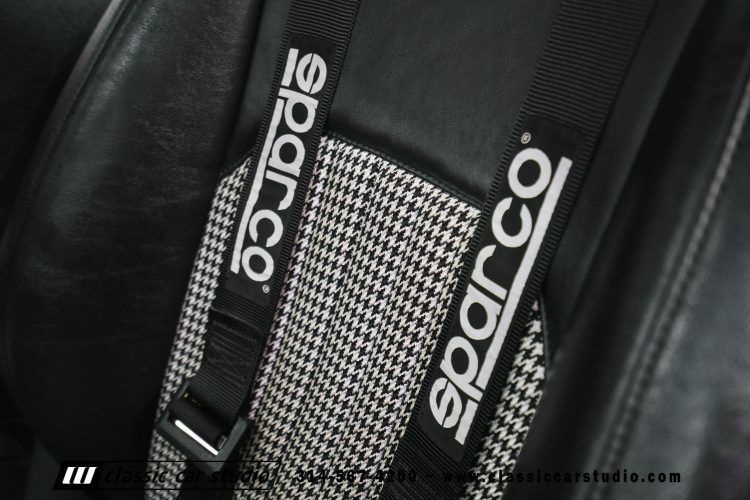 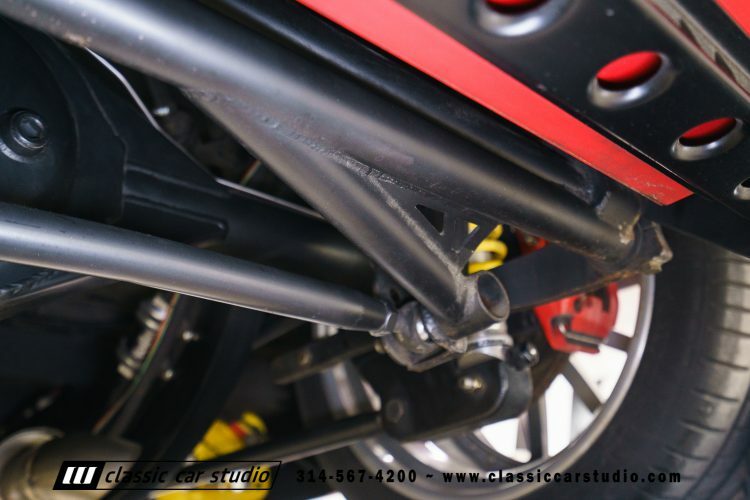 The center crossmember and mid brace are designed to eliminate flex experience under heavy acceleration and hard cornering. Afco race shocks provide amazing handling and are fully tunable. 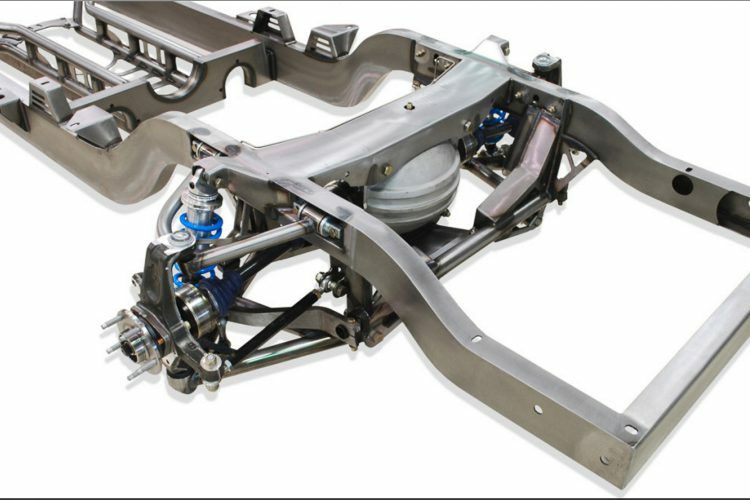 Out back is a Speedway Engineering Mod-lite floater rear end hooked to a large diameter, parallel 4-bar rear suspension. 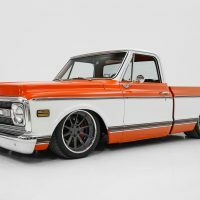 This truck has hung with Porsches on track days and is a proven autocross runner. 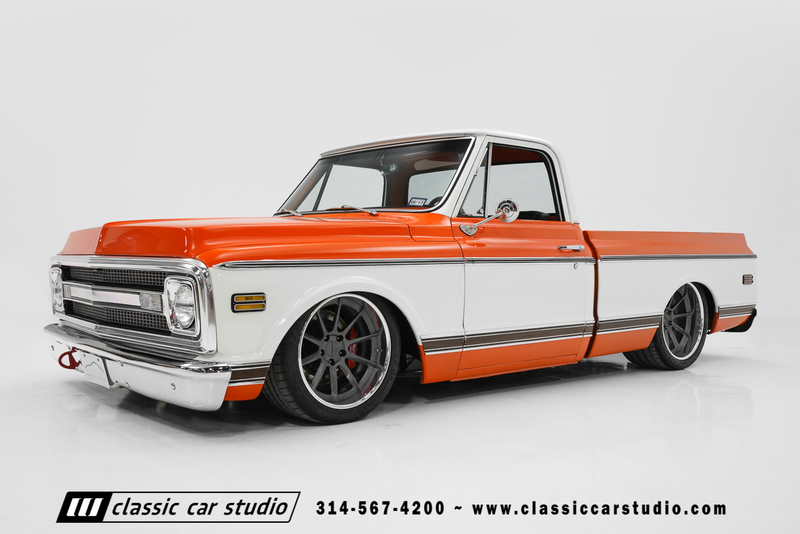 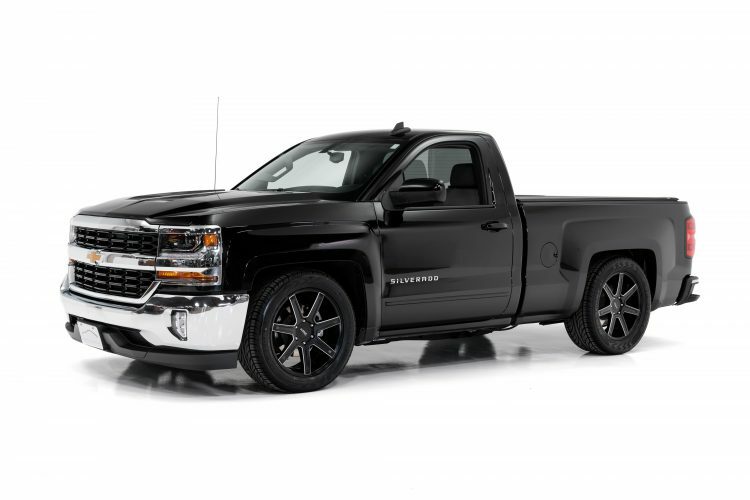 Don’t let the truck body fool you, this a dialed in performance machine. 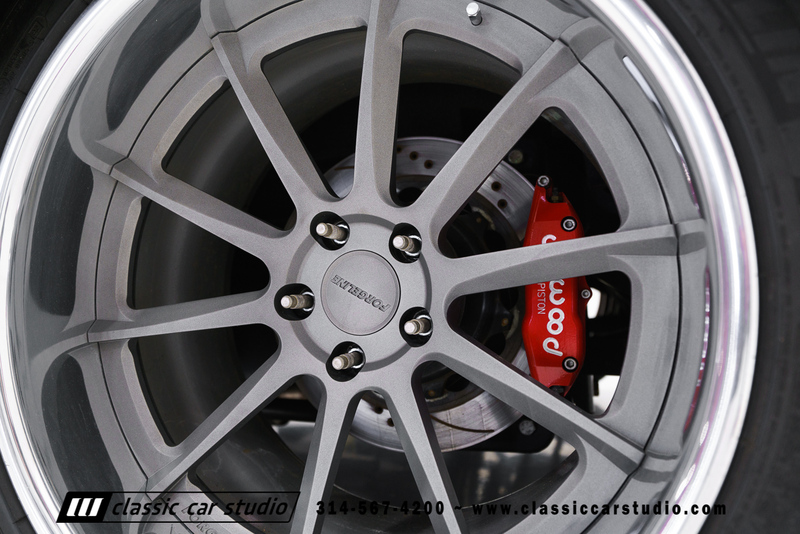 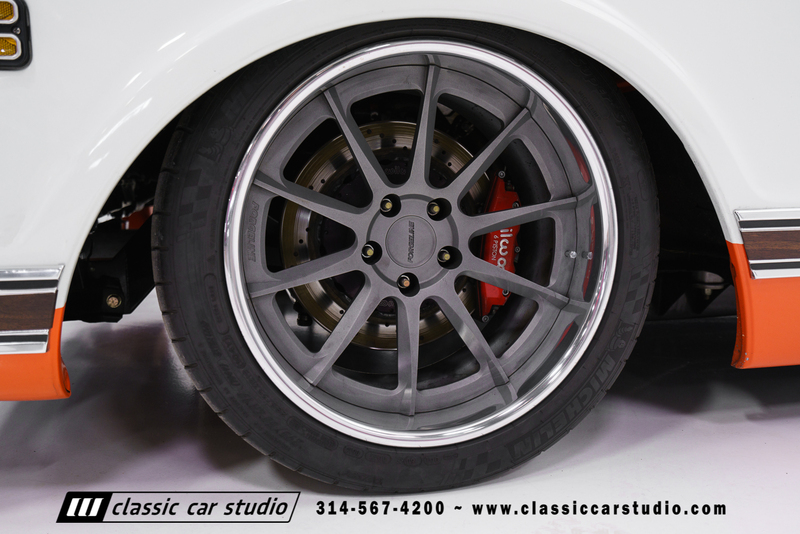 The brakes consist of massive 6-piston Wilwood calipers grabbing 14” rotors up front and 13” rotors in the rear. 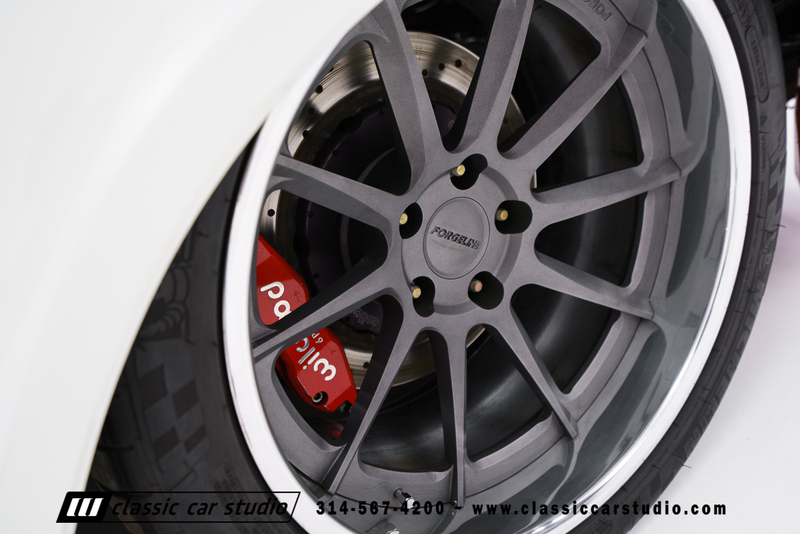 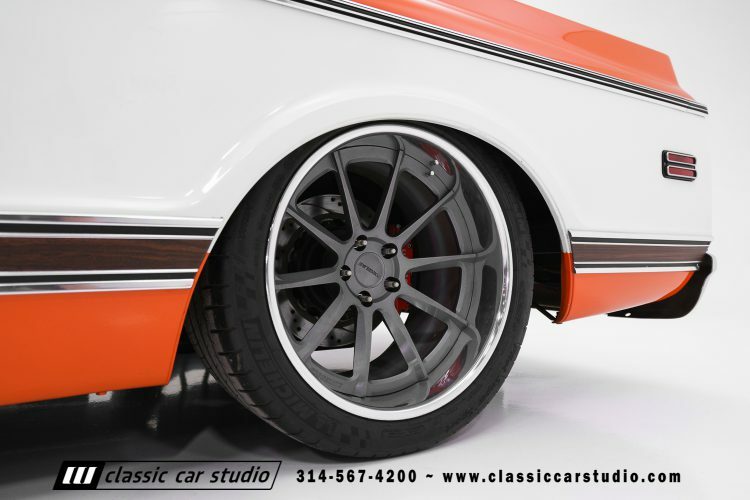 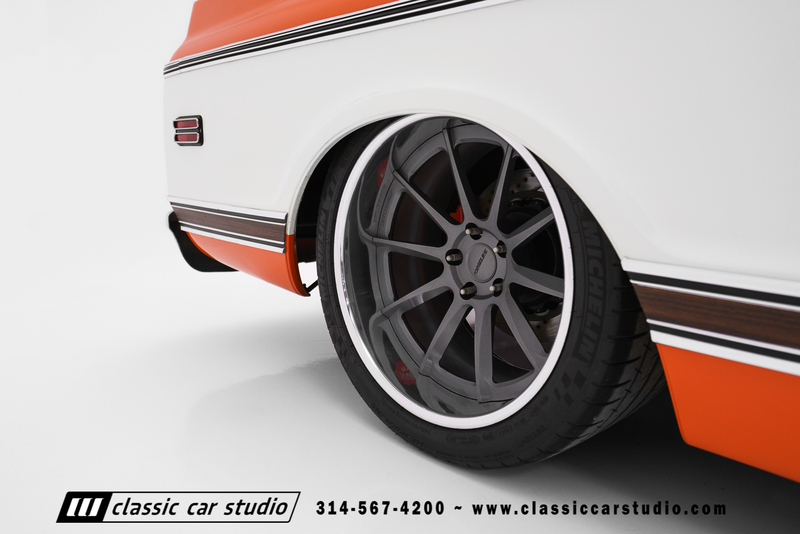 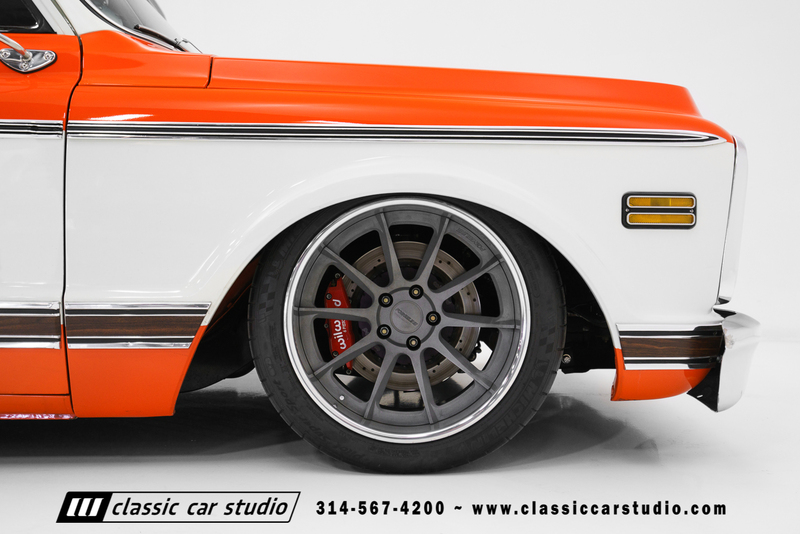 The wheels are stunning Forgeline RB36’s measuring 19×12 in the front and 20×12 in the rear. You read that correctly…12” front wheels. The Michelin tires measure 345/35/19 up front. 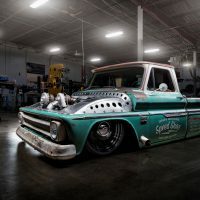 That’s insane, and so is the grip. 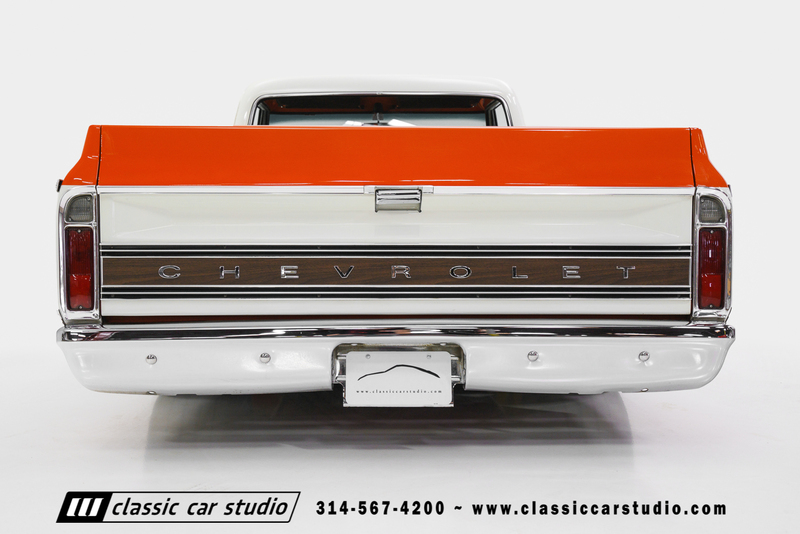 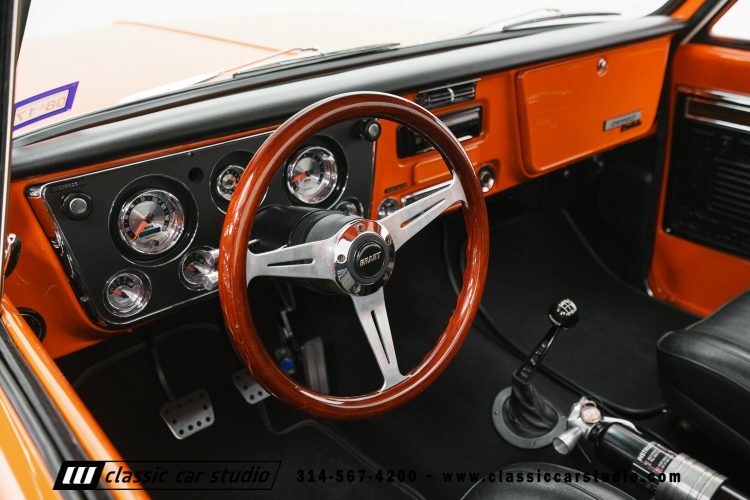 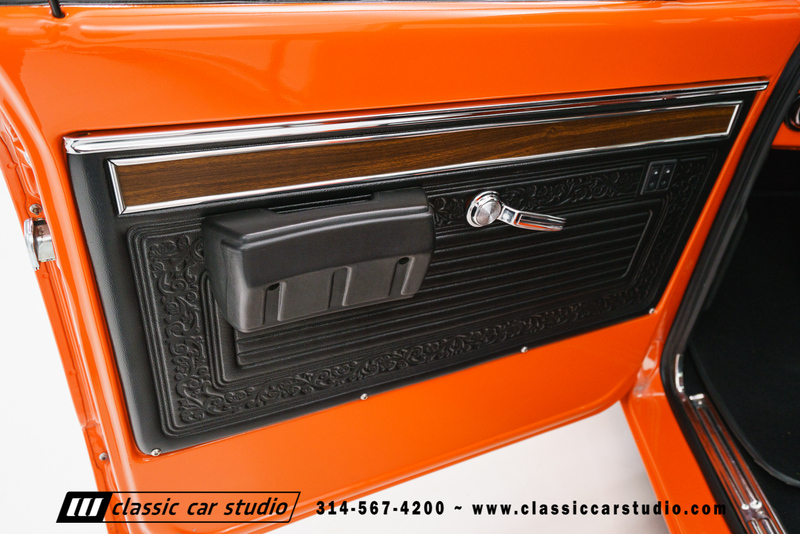 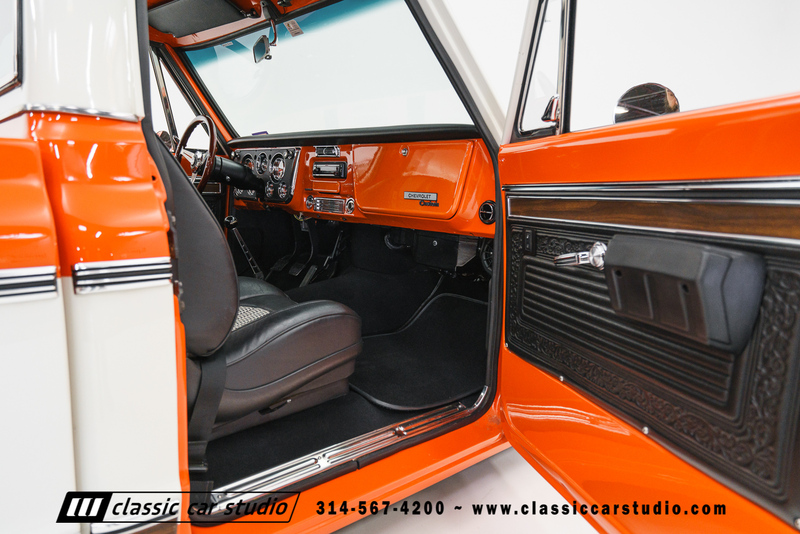 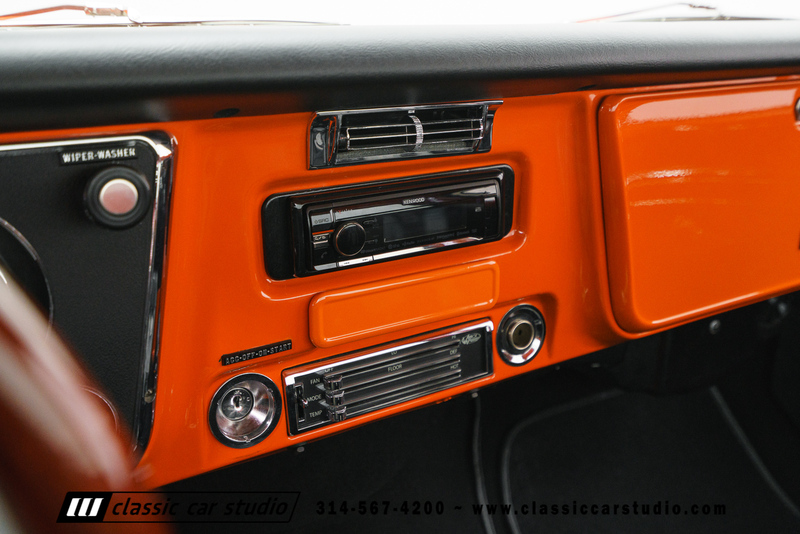 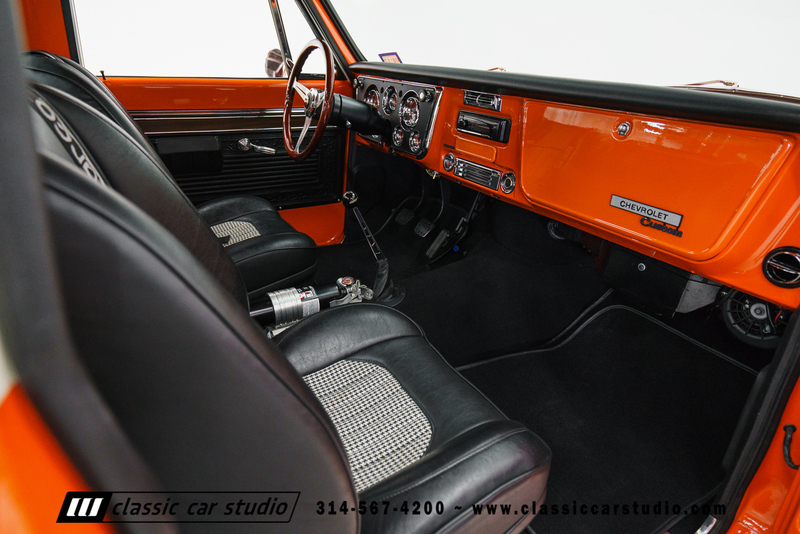 Creature comforts include a classy interior with a nice stereo system, and the Vintage Air system will keep you cool on those hot summer days. 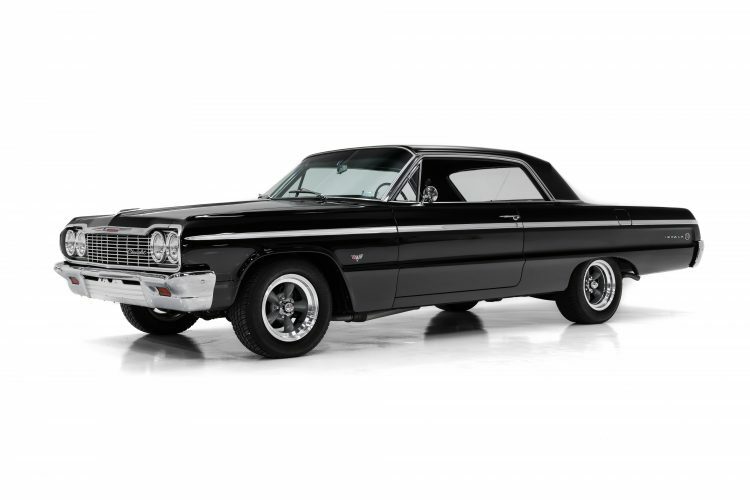 There are a lot of vehicles with nice parts thrown at them, but there are very few with this level of pedigree. 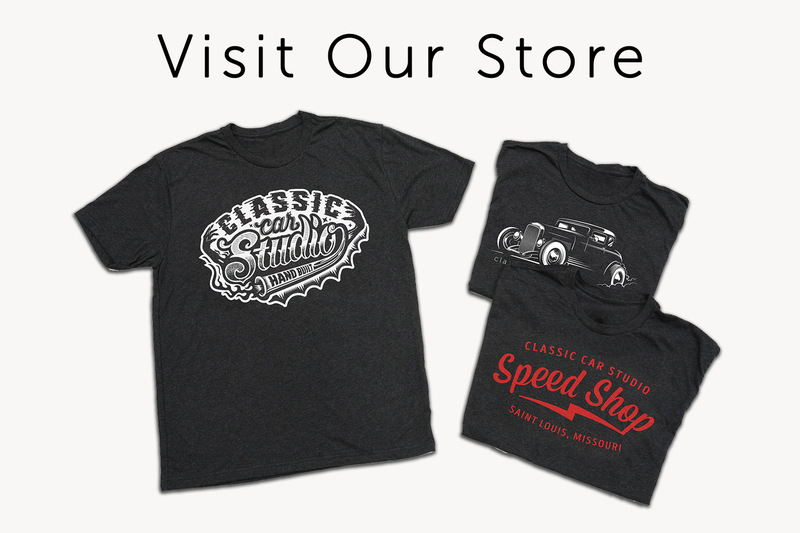 Buy the best.